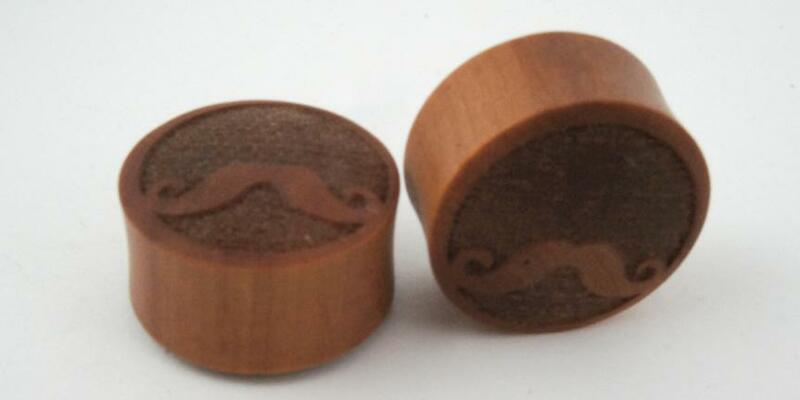 Bring out your inner mustachio with this pair of Sawo Wood Mustache ear gauge plugs. 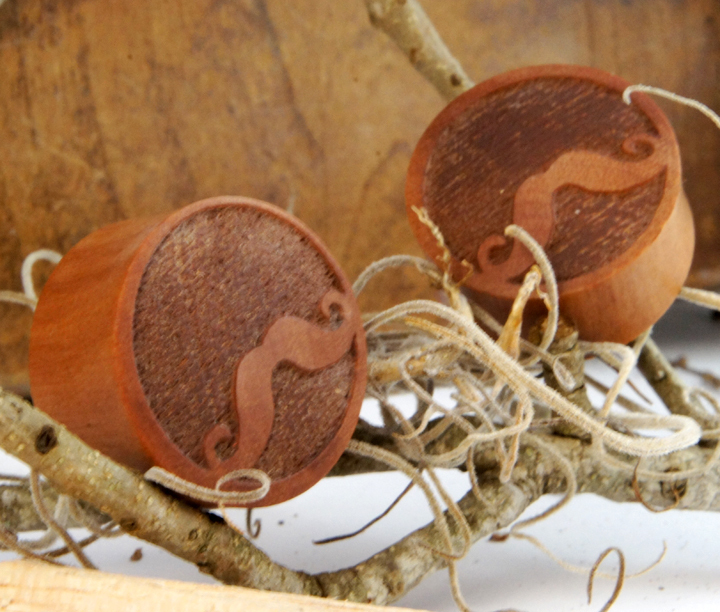 Featuring an especially bushy and luxuriant handlebar mustache these well-groomed plugs convey a deep appreciation for the finer points in mustache cultivation. 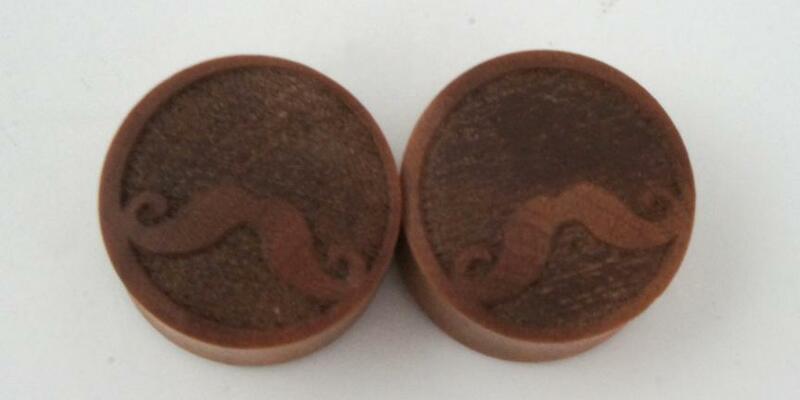 For sizing we typically have a wide range in stock but if you don?t see your ear gauge size listed please let us know. We regularly release new sizes and styles so if it?s not currently available now there?s a good chance it will be later.